In the present time, Vinyl Sliding is possibly the most popular material for siding. 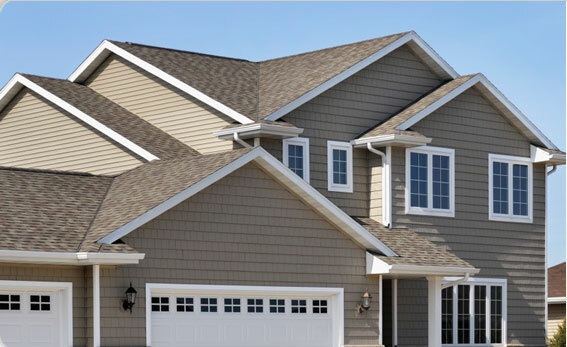 According to various studies more than 33% of all new homes use vinyl siding compared any other material. This siding option is the most popular choice among homeowners because of various benefits they get with it. Talking about the different benefits of this siding option, below you can find different advantages of vinyl siding. Vinyl Siding gives you many options for color, design, pattern and texture. These siding can easily mimic the appurtenance or look of different type of building material option include slate, wood or stone. As far as color is concerned, you can find more than 350 color option, and this range is increasing with time. One of the most notable benefits of this option is that it can work great with almost any kind of home. The durability of vinyl siding is amazing, and it can withstand 200mph wind as well. Indeed, we do not experience that kind of wind unless there is a super storm on your door. But this gives you an assurance of durability in any situation. Also, it can last much longer compared to other cladding material. So, if you install it once, you can stop worrying about the replacement for several decades. Installing a vinyl sliding is very simple and easy. It is very light in terms of weight that makes it easy to install. Also, it works great on any material without removal of previous material. So, this is certain that you will need to invest less time for preparation and finishing work. Other than this, it is easy to get support for the installation that is another great advantage for this system. It is easy to maintain your vinyl siding with utmost simplicity. You don’t have to worry about the painting it again and again. A time to time cleaning with mild soap can do the trick and it can give good look to home. Vinyl is free from any kind of rotting or cracking and if it get dull, you can get the new look with easy restoration. While most of the siding materials are extremely costly, this is possibly the cheapest option available in the market. It is not only cheaper in terms of its initial cost, but labor and installation is also cost effective. It does not need replacement and repairing and last for several decades. That means one-time installation is enough for an entire lifetime. That makes it highly cost effective compared to any other material option. Other than these advantages, it can offer greater safety as well to you. So, if you are also looking for a siding material for your home, just give your preference to vinyl siding by reputable Siding North Little Rock firm. This selection will give you all the benefits that we just shared above and it can enhance the overall look and beauty of your home as well.